Like a child ever so delicately dipping their toe into uncharted water, the five-door A3 Sportback arrives on the road as Audi's first plug-in hybrid. You’ll be forgiven for thinking “cor, they’ve taken their time” and in some respects you would be right. But the wait has been down to quality control. Audi insisted that a zero-emissions-capable car with its badge shouldn’t be a compromise nor should it betray the aspects of the brand that has made it so popular. While an R8 e-tron concepts was unveiled at the Geneva Motor Show over five years ago, this A3 Sportback is the first to actually get to production. So it arrives on our roads ready to be plugged in, with the type of looks that make it indistinguishable from the standard A3. But is the drivetrain a viable replacement for one of the most popular cars on ContractHireAndLeasing? 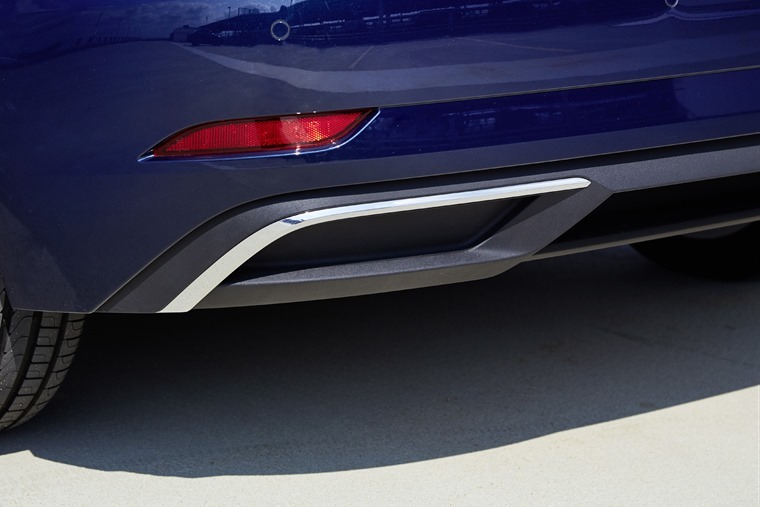 Like all hybrids, I find there’s a certain ‘gamification’ with the drive – it requires thought on which drive mode is correct for eking out the best fuel economy, and seeing your MPG slowly rise like a points score on a game of Tetris is a great way of entertaining yourself on long, boring drives. This, sadly, is where a lot of the fun in driving the e-tron comes from. As a big fan of the blend of performance and size from the original A3, the addition of a plug-in battery impacts the car’s agility and when you’re driving an Audi that’s a big part of the appeal. While it has a combined system output of 201bhp and a healthy 350Nm of torque to play with, these figures disguise the impact of the 8.8kWh battery - meaning performance doesn't quite match what these figures suggest. A design quirk on this facelifted edition has also seen Audi get rid of the battery charge mode which enabled the car to use its petrol engine as a generator to top up the battery on the go. Instead, you get a variety of environmental-themed drive modes to do the job. 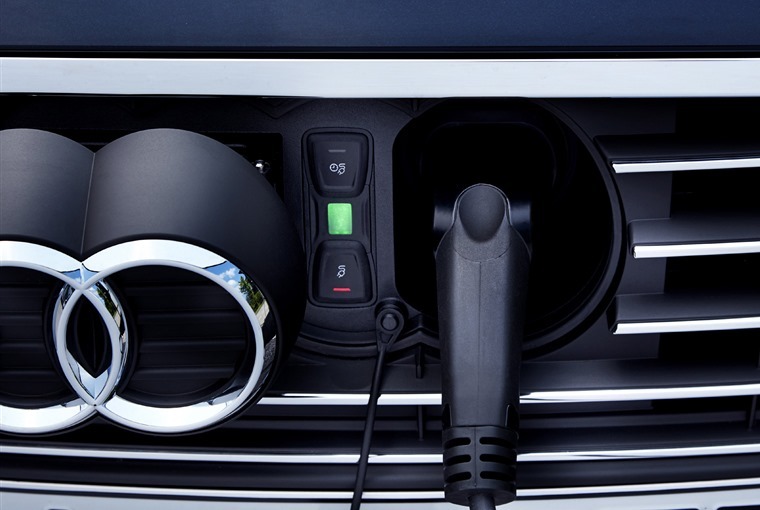 There’s a full EV mode for when the battery charge is at its optimum, a hybrid mode which manages the mix of petrol and electric power to offer an optimised driving experience, and hybrid hold which stores battery charge for use in towns or cities. Sadly, by getting rid of the regenerative aspect of the e-tron, once you’ve used up the 29 miles of electric range the car turns into a heavier, more sluggish A3. With this in mind, you’ll become almost obsessive about constantly plugging the e-tron in to get the most out of its battery. That means a charge time of over two hours using a fast wall box, or three hours from a standard three-pin plug. Aside from the drive itself, everything is as it should be. The interior offers the kind of class and comfort Audi is famous for. The clean-looking, minimalist-style dash means you’re not faced with a confusing array of buttons, and the clear and well-positioned infotainment screen rises out of the dashboard and is controlled via a rotary dial offering satnav and DAB radio as standard, as well as Apple CarPlay and Android Auto. 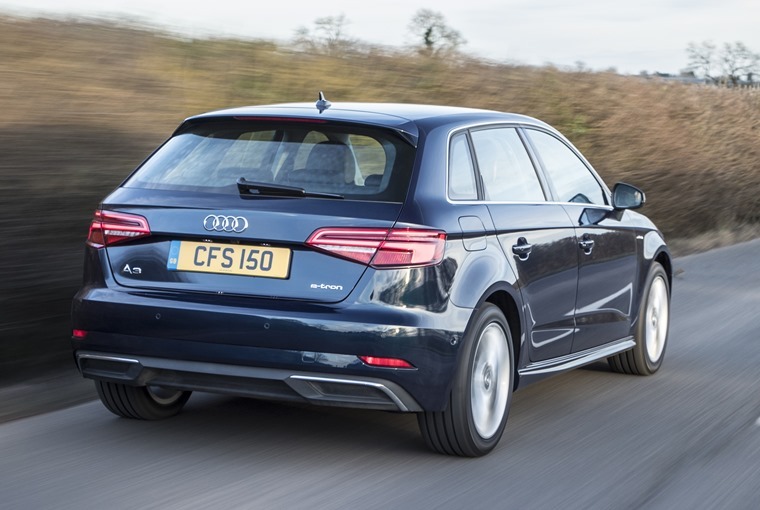 Boot space has been reduced from the original A3 by 100 litres to make way for the power source, making it only marginally larger than the Audi A1. 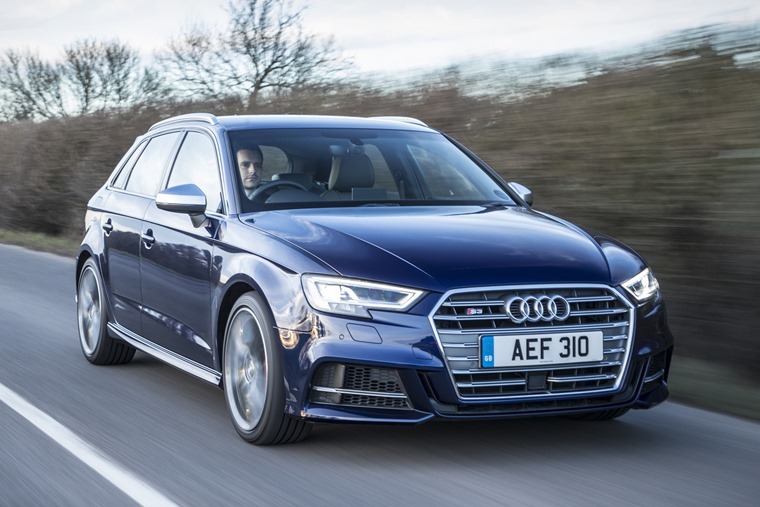 Not that boot space has ever been a deal-breaker for anyone, but when you factor in the A3’s positioning as a family hatchback, it’s something to bear in mind. 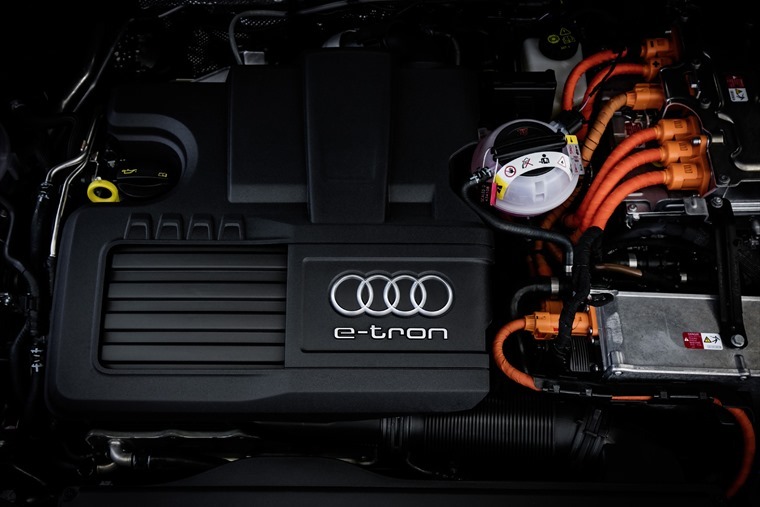 We’ve got a lot of love for hybrids at ContractHireAndLeasing and Audi’s A3 e-tron goes a further step toward legitimising them in the eyes of many. The badge may draw in Audi loyalists and those looking to boost their green credentials, but the heavy battery does affect the ride, handling and space. Hybrids are supposed to be a seamless combination between green tech and traditional drivetrains. They are a work in progress, and Audi can and will do better.